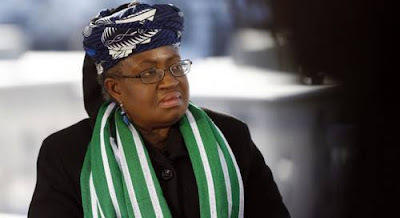 Officials of Nigeria’s Federal Ministry of Health (FMOH) are questioning how former Finance Minister Ngozi Okonjo-Iweala handled payment of the sum of $2.2 million that was the subject of a dispute between the Health Ministry and a global non-governmental organization called the Global Alliance for Vaccine and Immunization (GAVI). A letter written by the permanent secretary of the Ministry of Health wondered why Ms. Okonjo-Iweala’s Ministry of Finance rushed to pay the disputed sum to GAVI, a health NGO that had claimed that Nigeria’s health officials had misappropriated the funds between 2011 and 2013. GAVI had sought the intervention of the Federal Ministry of Finance and the Economic and Financial Crimes Commission (EFCC) following disagreements between the NGO and the Federal Ministry of Health, according to a letter written by the permanent secretary of the Ministry of Health, L.N. Awute. Specifically, GAVI had accused the National Primary Healthcare Development Agency (NPHCDA) of several infractions, including failure to pay taxes, failure to make required payments to UNICEF, and failure to supply promised goods and programs between 2011 and 2013. In the midst of the dispute, the Federal Ministry of Finance made a $2.2 million payment to GAVI to make up for the supposedly misplaced funds. However, Mr. Awute claims in his letter, addressed to the EFCC and dated July 15th, that all of the funds were properly accounted for by the NPHCDA. The agency’s own report found receipts, confirmations, and other forms of evidence verifying that the money was in fact appropriately spent. Mr. Awute surmised, wondering whether the EFCC had concluded its investigation and recommended that the Ministry of Finance pay the full disputed amount to GAVI. “In the light of the foregoing, I wish to seek your clarifications on the issues raised,” Mr. Awute wrote to the chair of the anti-corruption agency.